Delhi: The iBall is the Indian Smartphone Manufacturing Company. Recently, they launched a new Slide Series in the Indian mobile phone market. The company labelled the price in the Box as Rs. 10,499. The Official iBall website had the complete specifications, features along with the price. The people can buy this iBall Slide Cuboid 4G Tablet by using India’s e-commerce website – Amazon India at Rs. 10,089. This new iBall slide tablet will be available only on the Metallic Gray color. This table has designed by using the narrow border aluminium outlook. Here, it is complete specification and feature about the device. 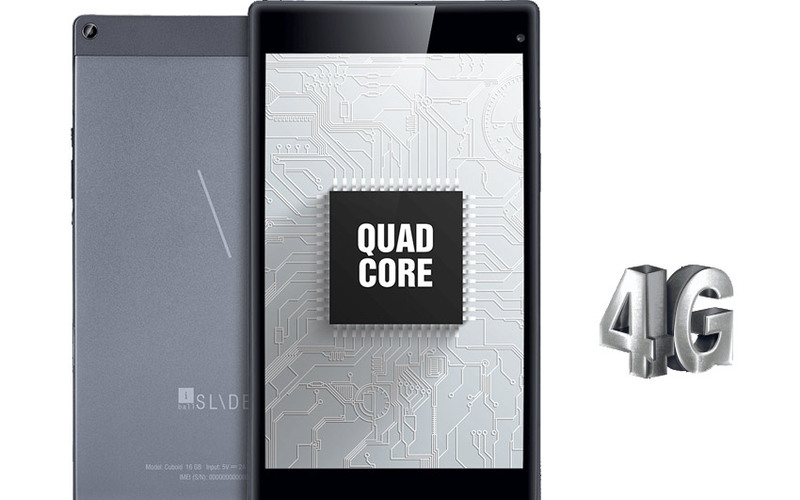 As per the online retail, the iBall Slide Cuboid 4G tablet only exclusive on Amazon India. The people those who all want to buy this new iBall tablet, just click and visit the Amazon website here below. Also, check the Lava X28 4G Smartphone. As per the Official specifications, this new arrival has featured with the 8-inch IPS HD screen. It had the screen resolution as 1280×800 pixels display. The latest model of iBall has the feature of full capacity Multi-Touch 188.68 PPI pixel density. The Cuboid tablet has made with the power of quad-core processor by using the 1.0GHz 64-bit ARM Cortex A53 with the RAM of 2GB. The system processor also with the Mali 400 MP GPU. The user can store their personal files with the 11GB of free memory storage, the remaining 5GB of the built-in storage is used for the Operating System. So, the tablet will be available with the built-in memory of 16GB. The device offered to use the expandable Micro SD card up to 32GB. Here, it is about the Network feature of iBall Slide Cuboid Tablet. 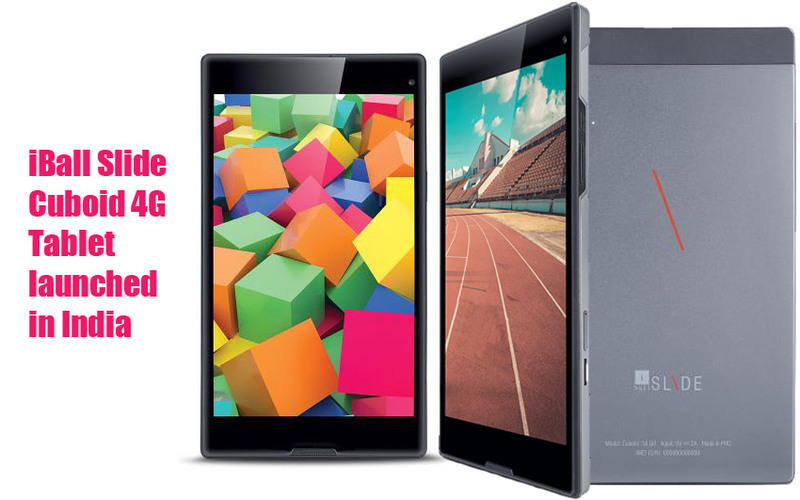 The manufacturer has designed this new tablet with the single SIM along with the 4G support. It allows downlink up to 150Mbps and the uplink as 50Mbps. The slot has also supported the 3G WCDMA 2100 MHz, 2G EDGE, GPRS, GSM – 900/1800MHz. This new tablet had 5 mega-pixel of rear camera with LED flash light. 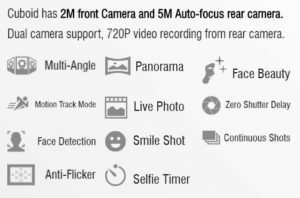 And 2 mega-pixel of front facing camera for better video chat and selfies. The default camera app has various built-in features such as Panorama, Smile Shot, Auto scene detection, Self-timer, Face Beauty, Multi-angle, GPS location info, Anti-flicker, Face Detection, guideline, Live Photo, Zero Shutter Delay, Continuous Shot, HDR, ISO, Time show, and Motion Track mode. The iBall Cuboid has the power of the 4500mAh Li-Polymer battery. It is the non-removable compact device. The users can’t be able to take out the battery from this Tablet as smartphones. It is not a new one about the manufacture of Tablets and few most popular smartphones. The Google will ready to introduce its next Android version as Nougat after the version 6 Marshmallow. But, the iBall tablet has the version of Android 5.1, Lollipop. This new tablet is also available in black color on the online stores. The following features are there in this iBall Slide Cuboid 4G tablet under the category of Connectivity. Wi-Fi 802.11 b\g\n, Wi-Fi hotspot, USB Tethering & Bluetooth Tethering, Wi-Fi Direct, Bluetooth Version 4.0, Micro B USB Port with OTG support. The users can update the software via iBall OTA; The Built-in CD-ROM is also available. 3.5mm Audio Jack, G-Sensor for auto rotate screen are also specified in the official website of iBall. This tablet will support around 30 languages including local Indin languages.